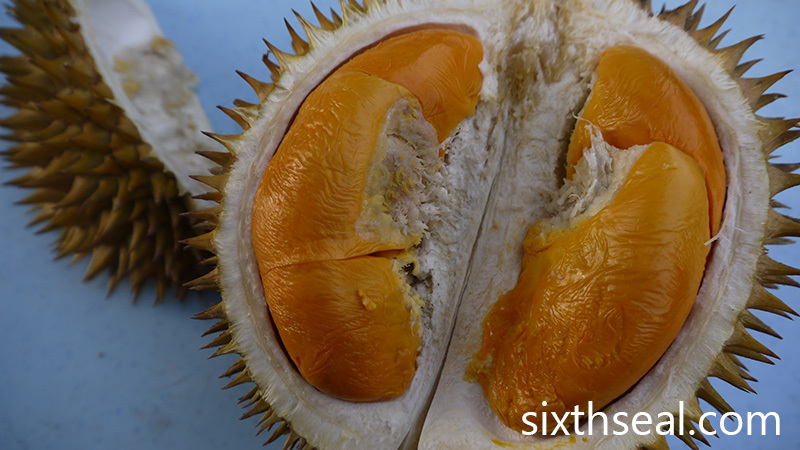 Well, new compared to all the other strains anyway, durians need time to grow. 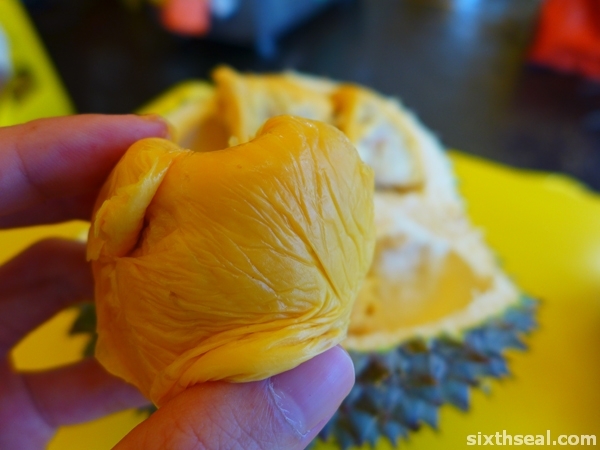 It won an award in 2012, and they’re selling it at RM 30 / kg, much more expensive than Musang King. I got the dude to sell it at RM 25 / kg or I’m not coming though. Haha! I made him call me the next time there was stock…and reminded him about the hours long wait last time so he sold it at RM 25 / kg instead of the listed price of RM 30 / kg. It’s not bitter, it has a surprisingly sweet start that ends bitter (like how XO durians ends, but not as intense). Peculiar traits, I think it’s a cross-cultivar of some sort. It’s just right though, the texture, but it’s not bitter throughout, so I’ll stick with XO durians if you like pure bitter. Gosh!!! 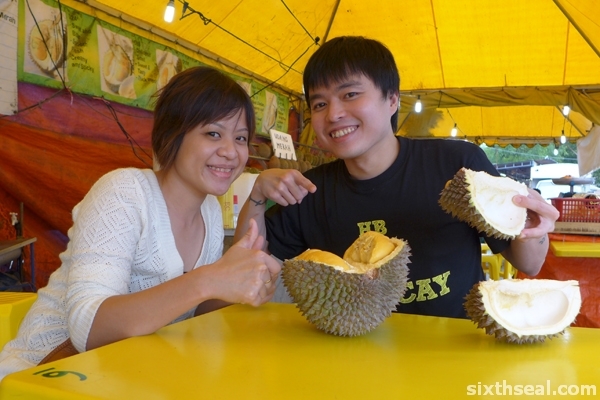 Durians again? 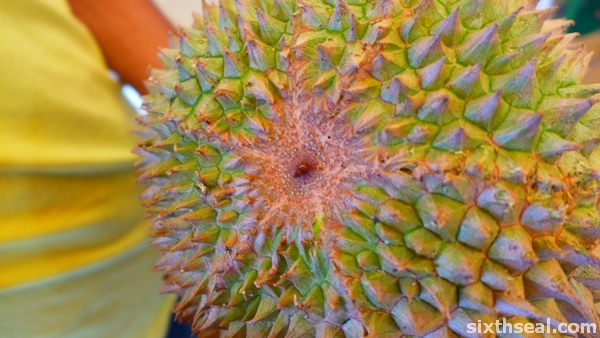 Watch out – doctors make pretty good business during the durian/fruit season here. 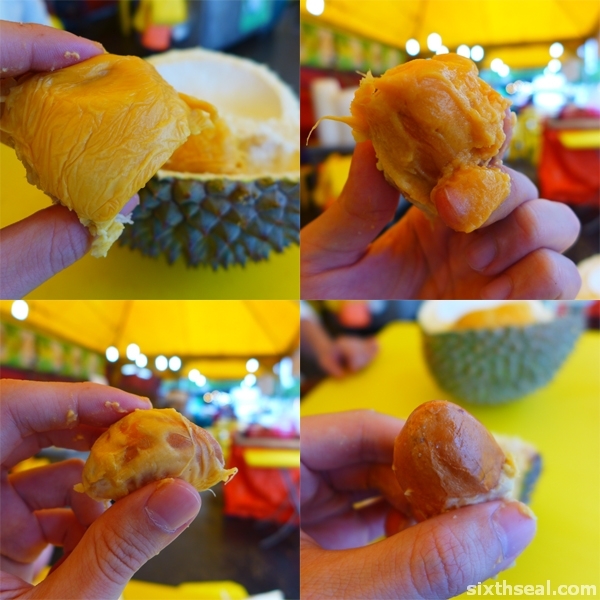 I love durian desserts but not really a fan of the fruit – I would not go out and buy…but would not mind eating if somebody buys and gives me. Too bad the season would be over by the time you come home… Wink! Wink! LOL!!! Alas! 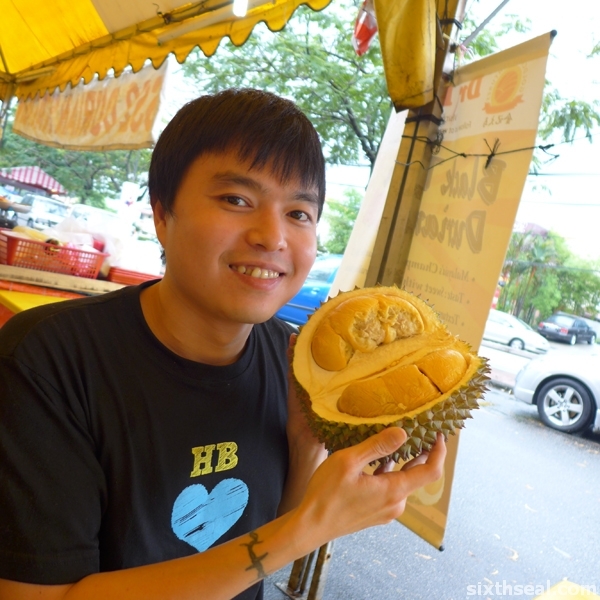 I’ll love to have a go at some of the Sarawak durians…would the season be over by the time I’m back? Oh well too bad then. I was hoping to get some of the wild bright red durians. wow that is really good man..
Haha! Well, price-wise anyway, since they’re selling it much higher than Musang King. I forgot to call two other friends too. Haha! I started before we went on that long drive in Balik Papan, Penang for Red Prawn and stopped for a while then started again. 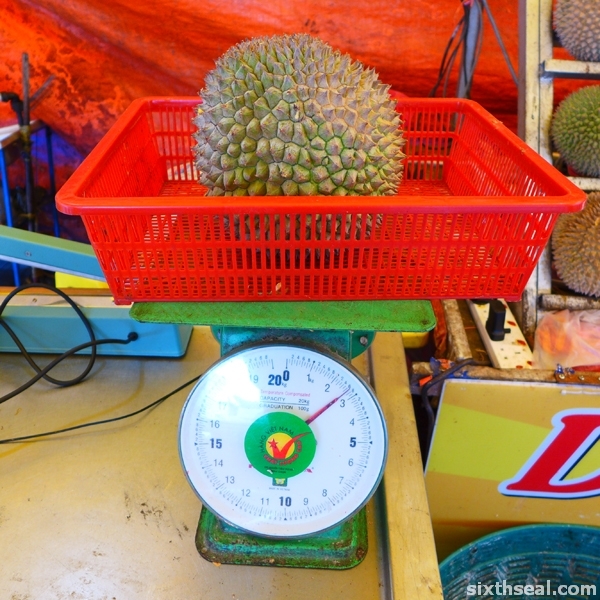 Yeah, it’s not widely available here, it’s a Penang durian. However, I saw that the stall beside it put up a sign saying “Black Thorn” not long after this though – it seems that the monopoly by this place is over. 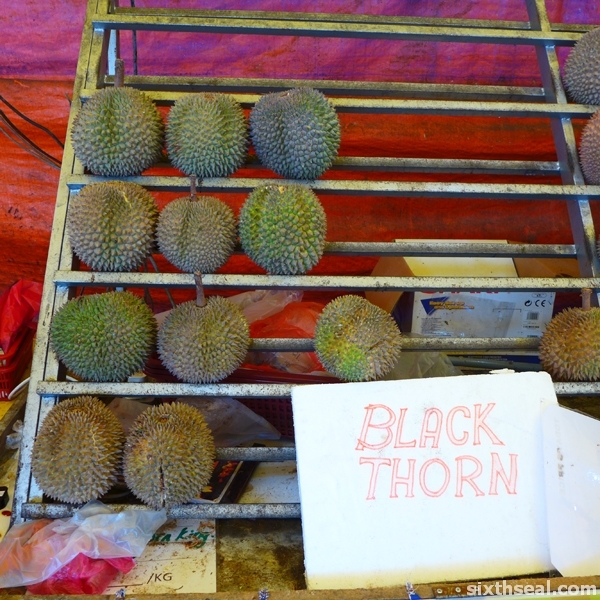 I’m not sure if the other place really has Black Thorn though – haven’t eaten there since a bad experience a while ago where they tried to pass off an unripe durian (although they replaced it, it’s their hard sell that puts me off). 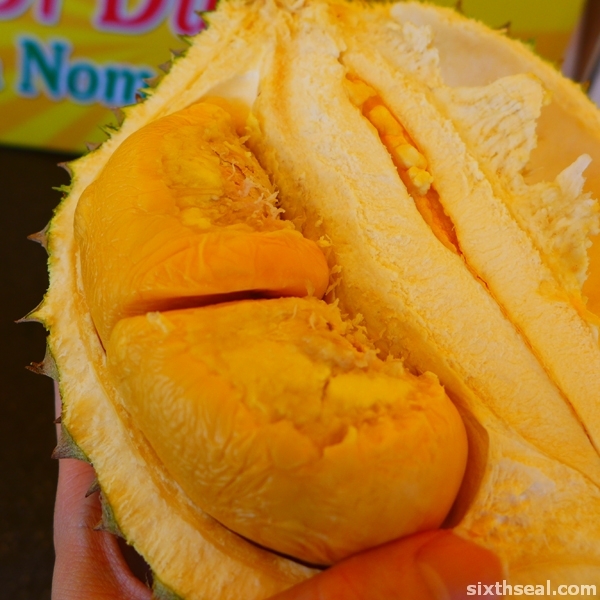 The Dr Durian guys are okay, they’re not hard sell and they’re quite honest. Tell the guy there you’re with the dude he made wait for a couple of hours! Haha! Hi there, saw this post while Googling. 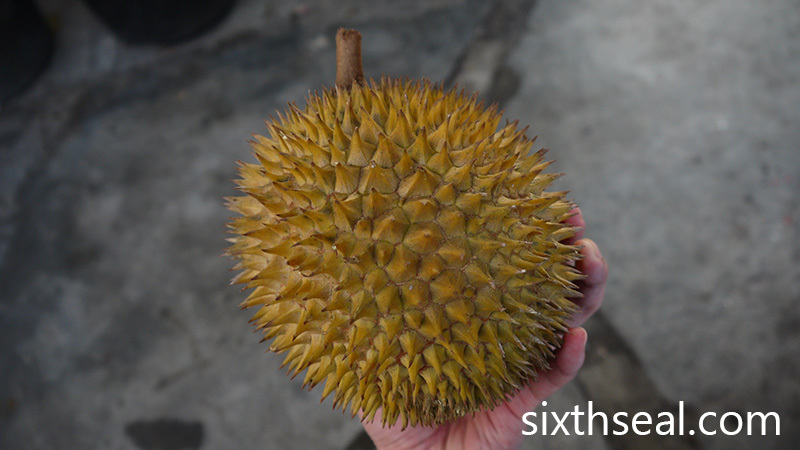 Do you mind to share the location & contact for this Black Thorn durian? Have not tried this before & would like to give it a shot! I had it in SS2 in Petaling Jaya last time. I believe more stalls are carrying it now, saw a new one in TTDI that was in the papers. Unfortunately I don’t have the contact anymore, lost my phone a few times since 2013. 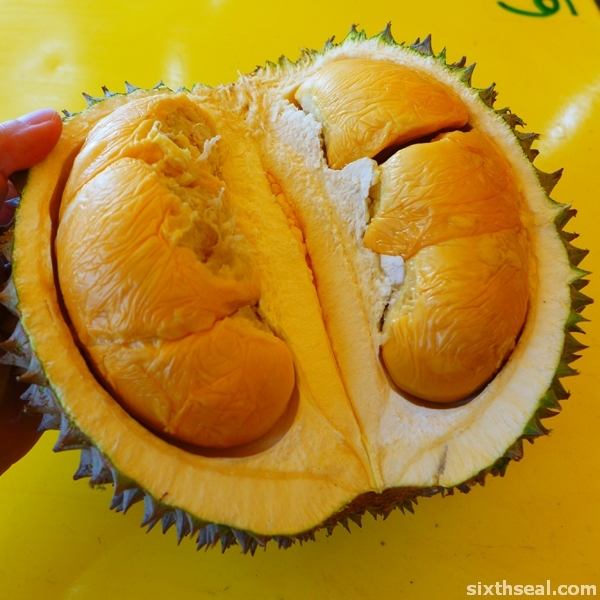 Do yo have seeds available of the best Durians, you are tasting on different places?